Old Owen’s Cricket Club commenced the start of the Saracens Herts League for Season 2017 on Saturday 6th MAY 2017. 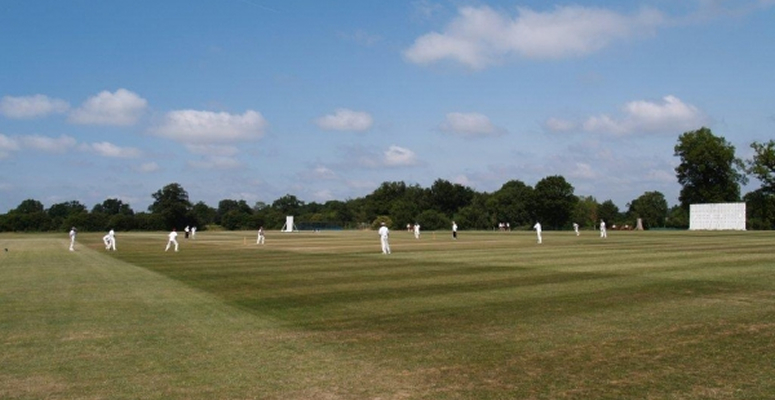 Old Owens 1st XI v Shenley Village 1st XI (Away start 12.30 pm). Old Owens won the toss and elected to field first. Shenley Village scored 209 all out (49 overs) with Old Owens replying with 150 all out (42.1 overs) – (Highlights: B.Lane 37, J.Mir 3-44). – Old Owens 1st XI lost (13 pts). (The 1st XI played 18 games, won 10, drawn 0, lost 6, nr 2 and finished 4th in Div 1 with 374 pts). Old Owens 2nd XI v. Southgate Adelaide 2nd XI (Home start 12.30 pm). Old Owens won the toss and chose to bat first. Old Owens scored 186 all out (50 overs) with Southgate Adelaide replying with 171-9 (50 overs) – (Highlights: A.Battersby 85 n.o., U.Atta 43). – Old Owens 2nd XI won (30 pts). (The 2nd XI played 18 games, won 7 drawn 3, lost 6, nr 2 and finished 5th in Div 7A with 348 pts). Old Owens 3rd XI v Northampton Exiles 3rd XI (Home start 12.3Ol0 pm). Old Owens won the toss and elected to field first. Northampton Exiles scored 138 all out (39.5 overs) with Old Owens replying with 127 all out (38.5 overs). – (Highlights: R.Achillini 3-19, J.Nelson 3-18). – Old Owens 3rd XI lost 14 pts. The 3rd XI played 16 games, won 7, drawn 0, lost 6, nr 3 and finished 4th in Regional Div A East with an average of 19.6785 pts). To see all the results, fixtures and tables in the Saracens Herts League click http://www.hertsleague.co.uk/. To see individual team, batting, bowling & fielding statistics go to Old Owens CC play cricket website.